I see A LOT of mistakes out there with small business owners who are using email incorrectly or who have not even thought about how or why to set up their email marketing in the correct manner. This post is going to go over common mistakes and what to do to fix them. Sorry to my friends who, as always, know that they are loved and who will be my goats for anything that makes me crazy! While I understand there are some situations that you need to use a corporate email address, this is a SMALL BUSINESS BLOG. Most of us do not work for IBM or Lucent, we have a little more flexibility with our personal branding. So, why SHOULDN’T you use your company email? One of my friends, who shall remained unnamed, Brian P, has changed his email address no less than 4 times since I have known him. It started with BrianP(at)homebank.com and went to BrianP(at)countrywide.com and then BrianP(at)tricountyfl.com and finally today, BrianP(at)VanDyke.com. The worst part of it is, he had a website about mortgage banking and could have used BrianP(at)mortgagecommunicationspot.com the WHOLE TIME! I will tell you, most people are not hiring the company you work for, they are hiring YOU and Brian has to have lost some people who would have worked with him again but they are two or three email addresses back and don’t know how to get a hold of him. This is a biggie. I talk to many people who network often who have said they have stacks and stacks of business cards on their desk and have not put them in a list yet. Arggg. This means that all that networking is for naught. You HAVE to follow up with an email newsletter or some other followup method you are missing the boat. If you are not using a service like Constant Contact or Aweber, you CAN email easily by just having an excel spreadsheet with First Name, Last Name and Email. You can then cut and paste the addresses into most email clients and send your message (NO MORE THAN 50 at a time so it is kerfuffly BUT it WILL work). The nice thing about doing it this way is that when you ARE ready to do your real email newsletter, you will already have your list ready! find out more about small business marketing help at MAU! The cost is low, there are over 82 posts with videos and there is a small one time fee to join! 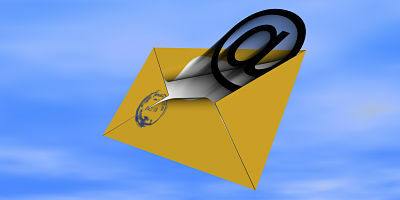 Thank you so much for sharing such a valuable professional email marketing tips and i know it really helps me in future. I agree with you. When focusing on Internet marketing like Newsletter Ideas it’s important not to forget the very principles of traditional marketing, just because it’s presented in a different way.